Do you have visions of singing on stage or playing for a crowd? Maybe you just want to learn to play an instrument just to entertain yourself. 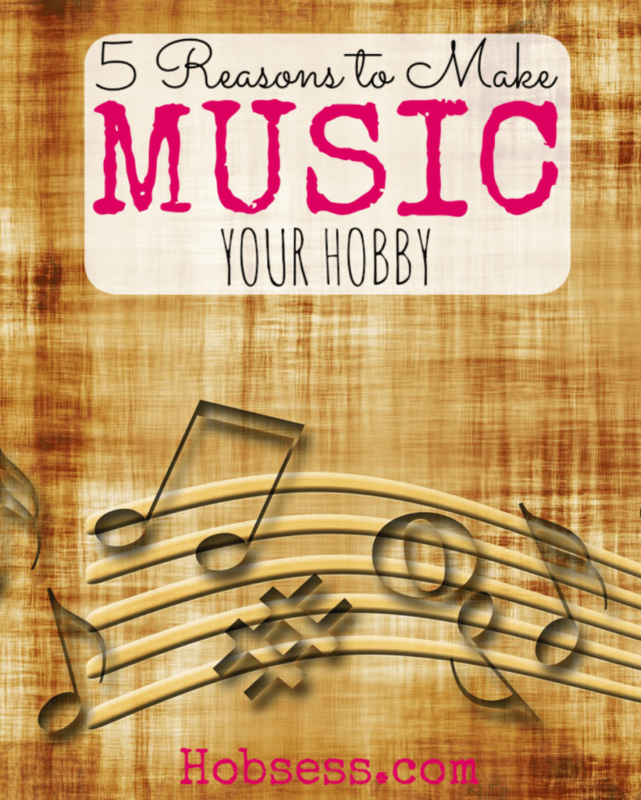 Here are 5 reasons to make music your hobby. You can’t deny that when you hear or sing your favorite song, you suddenly feel better. I don’t know what it is about music or even why it happens. It just happens. You can bring music into your life by learning to play an instrument, take voice lessons or create original music that lifts your spirits. The need to rock out to your own music. Why not start at home and pretend you are playing for crowds? Practice. Get Good. And then go do it. You don’t have to keep music to yourself. You can join a local band or orchestra or rock out by starting your own garage band. Participating in a musical group with others will create a unique sense of community and ability to grow new relationships. You can write music and lyrics for yourself or for others. You can compose instrumental songs to play yourself or to share with other musicians. Regardless of the type of song you write, this is a one of a kind gift that only you can create. No one else can put the lyrics and melody together like you can. Every composer adds their own unique twist. So many studies have been done on how music improves brain function. Students can use songs to help them memorize academic facts (like these medical students). There have also been studies showing that having music playing in the background helps you remember and retain information longer. Keep your brain as active as possible by making music your hobby. Start with this list and click on a hobby that you might like to try. Let me hear from you below, which “Music” hobby are you ready to try?